Socialist Realism represented the dominant creative method of China’s revolutionary era, yet critical histories of the practice are limited. This paper seeks to redress this imbalance by providing a detailed history of Socialist Realism that highlights the complexity of its formation. In 1859 Engels predicted that socialist literature would represent a perfected artistic form. He believed that realism ‘implies, besides truth of detail, the truthful reproduction of typical characters under typical circumstances’. In other words, art is a reflection of a generalised reality rather than solely a mimetic reproduction of a particular reality; it is a depiction that presupposes historical development and class struggle so as to ‘lay claim to a place in the realm of realism’.1 Socialist Realism is socialist first, not realist. The intellectuals, writers and artists who were entrusted with the duty to change and educate the working class had to accept a communist utopia as the ultimate truth as well as the inevitability of the revolution. Once both were accepted, then romanticism, with its embellishment and exaggeration of heroes and various beautiful imaginings, would not be mere fabrication but a truthful rendering of a reality to come. In Russia, the First Congress of Soviet Writers in 1934 established Socialist Realism as the main creative style for Soviet literature, noting that the artist must not just understand life as an ‘objective reality’ but as a developmental stage of the revolution. On this occasion, Maxim Gorky stated that Socialist Realist literature was directly connected to the proletariat, and its ascension in world history was an independent political force. Hence, British chartist poetry, German proletarian poetry, and the French literature of the Paris Commune were to be located as the beginnings of this new literary form, which had to wait until the first Russian revolution to be able to affirm itself as the mature phase of this proletarian revolution. The Communist Party of China was established in 1921 as a branch of the Communist International founded by Lenin in 1919, who provided the initial funding and guidance. A fracture arose when the Central Committee, controlled by personnel sent over by the Communist International, demanded that the Chinese Communist Party’s struggles use Soviet tactics and directly serve the Soviet Union. When war broke out between Germany and the Soviet Union in 1941, the Soviet Union was too preoccupied to manage the affairs of both the Chinese Communist Party – controlled by Mao Zedong and other local cadres – and its own Red Army. Mao Zedong took this opportunity to attack the internationalists within the party led by Wang Ming, and coin a local Marxism – a ‘proletarian party’ free from the control of the Soviet Union. The Communist Party of China was thus transformed from a subsidiary organisation of the Communist International into a tight-knit, autonomous party with a fixed role for art and literature in its political policies. After these developments, the Chinese Communist Party carried out party-wide Marxism-Leninism pedagogic movements in 1942, 1950 and 1957 to solidify Mao’s absolute leadership. As an important component of the Yan’an Rectification Movement, Mao personally hosted the Yan’an Conference on Literature and Art on 2–23 May 1942. Over 200 art and literary workers, as well as officials from various departments of the party, attended the conference. The objective was to resolve the theoretical and practical issues that Chinese proletarian art and literature had encountered in its development. These included the relation of the artwork with the overall work of the party; strategies for dissemination; and how to approach the unification of content, form, praise and exposure. Mao Zedong’s opening and closing remarks from the conference were combined and officially published on 19 October 1943 in the Yan’an newspaper Liberation Daily, marking the beginning of a new era of integration between new Chinese literature and art (wenyi in Chinese) and the worker-peasant-soldier masses. This exposition determined the narrowness with which we view contemporary art today. Like Mao’s absoluteness in the orthodoxy of the Communist Party’s ruling and ideology, in present-day China there is a tendency to recognise only one legitimate form, approach and value to art and exclude any alternative perspectives, giving no space at all to diversions and differences. In the case of defining what a realist art in China would look like, we often fall into the same logic of singularity. We take the biased view that content is the only testament to the continuation of the creative traditions of realism, while overlooking artworks that engage in experiments with other aspects of a broader sense of realism. Meanwhile, we narrowly define reality as that which exists before the eyes and in the lives of the masses. Despite the fact that the reality depicted by Socialist Realism actually includes subjective ideas and faces of the so-called reality of communist ideals, the definitude of Socialist Realism as a creative approach is far lower than that which we have estimated and previously understood. From the 1940s, the principal that art should serve politics remained stable, shaping both bureaucracy and censorship in the arts. After several decades of security, various operations, ranging from policies on art to art patronage projects, the Artist’s Association, the National Fine Arts Exhibitions, sponsorship, the censorship regime and the art museum system, formed an unshakeable inertia. The art and discussions of art cultivated within this system have taken permanent residence in mainstream formats such as textbooks, mass media and museums. 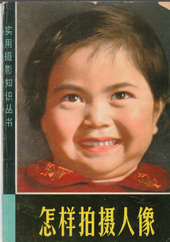 Let us now return to the early days of the introduction of realism in China. For the intellectuals, writers and artists of the day, its artistic properties held a strong appeal. As the revolution progressed and the Communist Party further defined Socialist Realism, it gradually evolved from an artistic style into an ideology with a clear viewpoint; it became the clothing of ideology, as well as ideology itself. This transformation allowed the genre to express powerful exclusivity and produce confusion. In order to fit with the political mode it represented, it not only expressed the ideology it represented, but also became that ideology itself, consolidating its mechanisms. It put on its poker face, equating itself with correctness and singularity, through which it gained absolute authority. This is why the question of right and wrong began to emerge in realist creations, because political views, goals and functions had come to occupy a principal position within the work. Creation itself began to follow political guidance. Its boundaries grew increasingly visible and, like a talisman, they came to regulate and define the range of artists’ thoughts and creations. Today, most accounts of people like Wu Yinxian and Dong Xiwen go only as far as the political foundations of their creations, treating their work with the same regard as work that serves solely ideological ends. Yet, few of Wu Yinxian’s contemporaries or successors had as rich an early education in both Eastern and Western art as he, nor did they establish their later work on an artistic foundation. Rather, they treated photography as a political task, an operation for the expression of political intentions. Even today, most photography services are run by photojournalists or even sports photographers. To summarily relegate the work of such artists as Wu Yinxian and Dong Xiwen to the category of ideological tools is to fall into the same absolutist and simplified approach to understanding that is applied to Socialist Realism. After the establishment of the People’s Republic of China, the literary and art workers streaming into Beijing from the liberated zones brought revolutionary artistic ideas to the capital. Within the spirit of the times, Socialist Realist painting came to represent the notion of the ‘nationalisation of oil painting’ advocated by many artists in the early days of the People’s Republic, which allowed this European art form to constitute the most convincing medium for its entry into the realm of Chinese art at the service of political ends. The artists steeped in early Western modernism found political momentum for turning what they had learned abroad into something Chinese. This political platform allowed artists to refine and ponder artistic practice whilst remaining within an ideological framework. The late historian Gao Hua wrote that China’s real proletarian cultural narrative reached China from Moscow and Japan. The narrative of class struggle emphasises imperialism’s suppression of and encroachment into China and the Chinese people’s painful memories of it, while also providing an idealist vision for changing society. In theory, it is called Communism, but in practice it is actually ‘Soviet’ and that was essentially the case for the left wing from 1927 to 1937. Into the 1930s, the left wing added another appealing banner: ‘resisting Japan for national survival’. This infused the leftist revolutionary narrative with nationalist elements. From that perspective, the left occupied the moral high ground in two places: anti-imperialist patriotism and egalitarianism. Before 1949, leftist culture occupied a large space in Chinese intellectual consciousness precisely because of these two points.9 China also had its own literary background: the tradition of ‘writing as the carrier of the truth’ and changing society through literature. In the early twentieth century, there was just such a movement for the intervention and participation in social reform in literature and art. The years 1927 to 1937 were labelled China’s ‘red thirties’, accounting for a decade when many writers and artists entered more directly into the social revolution. Born to a scholarly family in Shuyang County, Jiangsu Province, Wu Yinxian enjoyed a rich artistic upbringing. In 1919, he was accepted into the Shanghai Professional Academy for Fine Arts, a school founded by Liu Haisu, where he received standard training in the fundamentals of painting. During his studies, he bought an old American Brownie camera at a second-hand market, and began to use photography and film to document the suppression of the poor by the rich, the warlords and the Japanese invaders. In March 1933, the Chinese Communist Party Cultural Council established an underground film group run by Xia Yan, Qian Xingcun, Wang Chenwu, Shi Linghe and Situ Huimin. The film group began contacting progressives in the hopes of producing a film for the masses; one that was anti-imperialist and anti-feudalist in theme and was made using realist expressive methods. In an atmosphere of unprecedented anti-Japanese sentiments and a surging patriotic movement, they firmly established the Communist Party’s status as the spokesman for nascent dissatisfaction in China. After Sons and Daughters in a Time of Storm, Wu Yinxian filmed Street Angel and the documentary Long Live China, which criticised China’s social inequality and praised the Chinese Revolutionary Forces in their efforts to resist the Japanese and save China. Nationalist Party censors derided the documentary Long Live China as ‘Communist propaganda’ and destroyed all the negatives and copies. No footage of this film survives today. In the summer of 1938, Deputy Communist Party Military Commissioner Zhou Enlai invited Yuan Mu to travel to Yan’an, the Shaanxi-Gansu-Ningxia border area, and the Northern China Rear Guard Zone to film a documentary about the Eighth Route Army under the command of the Communist Party. Yuan invited Wu Yinxian, who arrived in Yan’an in the autumn of 1938, planning to return to Shanghai after the filming of Yan’an and the Eighth Route Army was complete. However, he was touched by the life of battle in the revolutionary stronghold and decided to stay, joining the Communist Party in 1942 and continuing to work in party-related films, reflecting the political, economic and cultural life in Yan’an for eight years. During this period, Wu Yinxian merged with his subjects, facing the tests of battle alongside those he photographed. Deeply influenced by Marxism, Leninism and Maoist thought, he transformed from a progressive leftist youth into a ‘proletarian warrior who struggled for the photographic endeavours of the party with staunch resolution’.12 He founded the Northeastern Film Studio, and in the subsequent decades worked in the field, writing a theoretical treatise on his practice that became an important manual for the theory and practice of photography. 9. Gao Hua, Geming Niandai (The Years of Revolution), first edition, Guangdong 2011, p.136. 10. Wu Yinxian, Writings, available on Wu Yinxian website http://www.wuyinxian.com/, accessed 20 November 2013 11. Ibid. 12. Ibid. In the later years of the Cultural Revolution, Wu Yinxian became one of the first academy administrative cadres to be released from manual labour and academic work suspension. At Jiang Qing’s request, the Beijing Film Academy and other art academies were dismantled and the 57th Art Academy was built, where Wu Yinxian was installed as deputy director. Because of this experience, Wu Yinxian was not immediately rehabilitated at the end of the Cultural Revolution, unlike many of his peers who had been mistreated during that period. In fact, his position was not restored until he wrote a letter to Hu Yaobang explaining his situation. Within this brutal political reality and political logic, Wu Yinxian and other intellectuals and artists had to choose their area of expertise, and carry out work in ways that would politically benefit those fields. Yet the value of their work was obscured by their political standpoints, and was often examined and observed through the logic of revolutionary thinking. Even today, the creative achievements of Wu Yinxian and his peers are overlooked, their work shunned according to revolutionary values that were still held by many in China. Still, in his later practice, Wu Yinxian, who was present at the Yan’an Conference and filmed the proceedings, never forgot Mao Zedong’s exhortation to serve the people with art, and, after Yan’an, he always played a principle role in the communist party’s film and photography endeavours. His artistic insight, as well as his research on the theory and practice of photography, never became dogmatic, mechanical, or devoid of personal opinion. On the contrary, the artist’s early education in Shanghai and his own independent studies remained relevant in his work throughout his career. By looking at Dong Xiwen and Wu Yinxian, we are reminded that we should not overlook the art created during this period of intensified political control. Even when engaging in political work, artists were able to exercise a certain degree of subjectivity in the delivery. Even if an artist was working to express the political authority that he or she served, individual artistic experience and aspiration were still factors in the formation of their work. For example, many artists working during that period deployed a diverse mix of materials and artistic styles – choices which often clashed with the strict constraints placed on them by the government. The struggle that emerged from this context, between the competing forces of government censorship and personal aspiration, came to shape the experience of art during this era. Dong Xiwen used writing, teaching in the academy, and presenting artworks to continue progressing and practicing artistic experimentation in this political atmosphere and sense of self-contradiction, and thus added to the formation of artistic discourse. Around the time of the nation’s founding, the goals and directions of artists’ work were the same as those of the ruling party: full of duty and hope for the rise of the nation, and committed to the pursuit of the modernisation of art. In the later years, even as individual artistic pursuits fell under government suspicion and became the target of criticism, the relationship between these individual artists and the government was strictly internal. They never found themselves in opposing camps pursuing different political ends. Throughout this time, the government hoped to limit the boundaries of art and ideas, while the artists, in their work, always hoped to gain more, and because of this, they often collided with the limits of government tolerance. This collision was always the result of artistic demands, not political ones. This internal, sometimes abrasive, relationship can also be used as a model to describe the later relationship between art and government, which was at times peaceful and at other times less so. Guided by authoritative descriptions or authoritative documents, it selectively cut and pasted historical material in order to affirm a certain authoritative description, simplifying the complex processes of history into an explanation of ‘inevitability’ while covering over many rich and fresh historical layers. The other main narrative model in modern history, the ‘modernisation narrative’, was introduced to China in the early 1980s. The end of the Cultural Revolution is often viewed as the starting point for contemporary art, and the continued use of this chronology has led to its oversimplification. By placing the beginning of Chinese contemporary art in 1976, and thus aligning the history of contemporary art together with the well-rehearsed accounts of that historical moment - the loosening of the social atmosphere, liberation of ideas and society’s strong desire to escape the legacy of the Cultural Revolution – contemporary art and the contemporary art field have gradually been turned into symbols. To a certain extent, this practice has come to hinder creative practitioners and art critics. This narrative uses the global and universal historical process of modernisation to describe the modernisation process that China carried out under strong influence from other countries, using it to expound upon China’s experiences and lessons that span over a century. This narrative model views China’s recent history through a global lens, a lens that has been applied to the observation of Chinese modern and contemporary art, particularly in the description of creative forms and artistic movements from the mid-1980s to the present. The weakness of this method is that it magnifies the universal applicability of the European and American modernisation process, and fails to acknowledge the specificity of the logic of China’s own process. The limitations of this narrative model led to increased anxiety in Chinese culture and art circles in the 1990s regarding the relationship between China and the West, provoking questions such as how a self-oriented history is constructed and how a suitable self-narrative can be engaged. We believe that the trajectory of Chinese contemporary art, from creation to discussion, did not take place entirely removed from Socialist Realism, but rather that it has continued to follow Socialist Realism and the pursuit of modernity as its evolution was shaped by China’s political environment. Describing contemporary art as a ‘rebellious and progressive’ set of ideas and actions is actually in keeping with Socialist Realism’s historical demand to present reality in creative work. In existing accounts, the birth of contemporary art after 1976 was to become the best ‘witness’ to the openness of Communist society, where ‘dissidents and rebels’ had become integrated in the reality of the society itself. In the 1940s, as Socialist Realism took form, was affirmed, and began to emerge following the establishment of the Communist Party’s leading position in China, its language naturally drew from the realism that was spread throughout the Chinese mainland in the 1920s and 1930s. After 1949, as Mao came to understand cultural policy and released several statements on the matter, realism was gradually transformed into revolutionary realism. After it was incorporated into the revolutionary romanticism of the time, it was no longer a realism that was naturalist in tendency. Rather, it gained spiritual connotations, and provided a blueprint for the political vision of Socialism. In this school of realism, artists grasped the methods of placing compelling, realistic details at the service of great political lies. The resources and dissemination mechanisms of art production were strictly controlled at one single source, rendering the creative motivations, education, and desires of the individual incomparably insignificant. The devastation wrought on intellectuals during the Cultural Revolution was recorded in ‘scar art’ and ‘scar literature’.17 In this period, hundreds of new magazines emerged, as well as thousands of translated texts and periodicals, while some selected foreign films and television programs were screened. The second emergence of realism in China took place after the Cultural Revolution. This time, realism emerged as a resistant stance — or perhaps, it would be more accurately described as having emerged in the form of dissatisfaction with the increasingly empty realism that had taken shape since the founding of the nation and the Cultural Revolution. This realism depicted a more accurate reality, a reality as it was witnessed. It tended to magnify and observe certain details within reality. Crucially, it did not depict the altered reality found in Communist propaganda discourse and materials. For instance, in Luo Zhongli’s 1980 painting Father, the face of an aged farmer is depicted in painstaking detail, magnified to almost the same size as the large portrait of Chairman Mao that adorns Tiananmen Gate. On the surface, this artwork appears to be staunchly resistant to the regime; during the time of the Cultural Revolution, when the painting was executed, only portraits of leaders were allowed to appear in such a large size, not portraits of average citizens. Thus, the scale of the work provoked a common misreading: that it represented a depiction of suffering labourers in a critical rethinking of the Cultural Revolution’s ‘red, bright, and luminescent’ depictions of labourers. Yet, when we look closer at the details, we notice that a pen is sticking out from behind the farmer’s ear. When Luo Zhongli began the painting, he wished to purely express a situation in nature. But after keenly grasping the message that the government leaders wished to convey – of a new generation of educated Chinese citizens – the artist immediately added this pen, successfully depicting the type of workers, peasants, and soldiers that the government of this new era hoped to mould. The addition thus allowed the work, despite its unconventional size, to conform to the government’s new campaign and allowed the artist to escape blame or suspicion for his decision to paint a portrait of a peasant in the same dimensions as the portrait of the leader hanging on Tiananmen Gate. As a direct result of Luo’s addition of the pen, Fathergained easy entry into that year’s National Fine Arts Exhibition, winning the grand prize and becoming possibly the most recognisable image in modern Chinese art history. This appeal for artistic and cultural modernisation has been the embodiment of Chinese intellectuals’ sense of duty to nation and society since the early twentieth century. After the end of the Cultural Revolution, the state loosened ideological control, and interaction with international society on all levels was reactivated. According to Wang Keping’s account in The Story of the Stars, some large woodcarvings were placed on the ground, and some paintings were hung on trees. The poets of the literary magazine Today also wrote short poems, which were attached to the paintings. On the third day of the ‘Stars Art’ exhibition, some thirty police officers cordoned off the east wing of the museum where their artworks were being kept, and replaced the artworks on the fence with an announcement that was jointly signed by the Dongcheng District police precinct and the Urban Management Bureau. They confiscated the artworks and forbade the Stars from continuing their exhibition. This event is often viewed as the origin of contemporary art in China. Furthermore, because of both the manner in which the exhibition closed and the artists’ subsequent resistance, it has often been considered an act of resistance against the government and its authority; in short, an act full of political awareness. But this projected ‘resistance’ corresponds to the misconception of resistance as reflection. In wide-spread discourse about contemporary art practice in China, resistance is often tantamount to reflection. Simplistic gestures of defiance and resistance were mistaken as critical reflection, when in fact these gestures represented an emotional release borne out of individual experience, which were often lacking analytical observation, contemplation and a rational understanding of structural problems. This reading of resistance as reflection has been used to analyse the actions of the Stars group, seemingly ignoring the fact that the artists of the Stars Art Group did not consciously take to the streets as an act of political resistance. The entire incident arose out of their hope to present their creations, and the fact that they had encountered an obstacle. They took to the streets hoping to foment public opinion and to create sufficient pressure which would result in the removal of this obstacle, and thus allow them to exhibit their work. On one hand, after the end of the Cultural Revolution the state was willing to relax controls on art and culture. This reduced pressure on artists and breathed new life into all manner of cultural activities. The traditional concept of ‘officialdom as the natural outlet for scholars’ continued to influence rulers and intellectuals. Intellectuals used criticism and newly opened channels in art and literature to appeal to the government: they demanded that the government further engage in modernising reforms similar to those they had carried out in the economic realm in the hope that these appeals would help shape a foundation of a system that they could approve of and serve. However, on the other hand, while the central party leadership, with Deng Xiaoping at the helm, promoted cultural and social openness and the development of the economy, it had no choice but to confront the explosion of individual desire that followed the opening of the economy with regulations. Central authorities carried out a series of activities: between 1979 and 1980, moving against Beijing’s ‘Democracy Wall’ and the calls in Shanghai periodicals promoting the use of true democracy to carry out reform of the system; from 1980 to 1981, moving against bourgeois liberalist tendencies in the literature and art worlds; from 1983 to 1984, moving against ‘spiritual pollution’; from 1985 to 1986, moving against ‘unhealthy tendencies’, etc. In all of these interventions and policy fluctuations between tolerance and suppression, Deng Xiaoping occasionally recognised the conservatives’ worries about ideas and social instability, and occasionally affirmed the reformers’ view that self-expression was indispensable to reform. Deng Xiaoping’s reform efforts brought society into a period of relative freedom. At first, his cultural policies appeared to be a major transition for the world of literature and art. After over 30 years of dogmatism and cultural isolation, the Chinese literary and art scene was about to be released from the socialist dogma that art should serve politics. Van Dijk believed that Deng differed from Mao because the national heritage that had been deemed ‘feudalist’ and ‘elitist’ under Mao had, under Deng, been revived and put to use as a pillar for creating and supporting a new sense of national self-confidence. In the 1980s, as modern Western art and philosophical ideas were introduced into China, young artists began to avoid artistic experiments that had been banned by the government, thus forming an artistic movement with independent ideas. The conflicts that subsequently arose with the government highlighted the political tasks and roles that Deng wished to assign to art. Descriptions of these two perspectives have come to form both the backdrop and conceptual foundation for the emergence of contemporary art in China. On the one hand, Chinese contemporary art practitioners benefited from the state’s initial position of openness. However, on the other hand, they were constrained by the central government’s subsequent wavering stance on openness. In fact, the two positions maintained a certain level of unity regarding expectations and goals: the state’s openness was not unidirectional, and its suppression was not continuous. But, as we have discovered, in the early days after the end of the Cultural Revolution there was no clear divide between official and non-official art. Rather, official art actively reflected on the great pressure placed on artistic creation by the politics and ideology of the Cultural Revolution. Attempts were also made in various directions to restore freedom in artistic creation and thinking. For example, Gao Xingjian’s 1982 play Absolute Signal was originally a story about the troubles of an unemployed youth. However, in order to pass the censors, the subject was changed and the play became a tale about saving an unemployed youth. The subject matter of unemployment was an unwelcome one for the government and its censoring mechanism. In China then and in the present, theatre, films, publishing and museum programmes, are strictly monitored by the Cultural Ministry of the Central Government – their respective municipal governing bodies must receive approval from the authorities before public presentation. Otherwise, any work, be it a play, exhibition or film, risks being suspended and the possibility of those involved being fined and deprived of future rights for expression. When Absolute Signal was eventually shown, it gained liberation in form by making ground-breaking experiments in language, acting, set design, lighting, and directing. Similarly, some of the members of the No Name Group and the Stars Art Group chose to paint landscapes, still lives, and abstract paintings in order to carve a space for contemporary artistic practice within these accepted forms. But long-term constraints left these formal experiments and breakthroughs without fundamental conceptual momentum, so that in the end, they became either empty or impossible to carry further. The book Research on the Beijing School of Painting in the 20th Century explains that whilst after the end of the Cultural Revolution many artists went into a creative frenzy and collective awareness, organisational aspects did not keep up with the pace of change. At the time, the Art Bureau of the Ministry of Culture was already established, and the Beijing Municipal Fine Art Photography Exhibition office was still organising exhibitions. But these organisations were limited in scope, and, when coupled with a lack of cohesive official character and administrative system, they were unable to adapt to the rapid changes taking place. These various groups were just beginning to prepare for restoration and reconstruction. This context forms the backdrop to the emerging phenomenon of artist-led art groups, which were spontaneously organised in order to satisfy the desire to hold more frequent exhibitions and exchanges. The emergence of artist groups in this period can be traced back to the New Spring Painting Exhibition held at Beijing’s Zhongshan Park in January 1979. This exhibition was arranged by Yan Zhenduo, Li Yuchang, and other young oil painters, and invited the Beijing oil painters Liu Haisu, Wu Zuoren, Liu Xun, Wu Guanzhong, Jin Shangyi, Yuan Yinsheng, and Liu Bingjiang, as well as some amateur oil painting enthusiasts who still held other jobs, such as Zhong Ming and Wang Leifu. The exhibition featured works by a total of 36 artists. The artists chose their own work, and censorship was not exercised: they set up the exhibition together, rotating work shifts and adopting a non-hierarchical exhibition arrangement. The atmosphere was relaxed and harmonious. Jiang Feng, who had just been rehabilitated, wrote the foreword to this exhibition, in which he raised several issues: there should be ‘no censorship system for exhibitions’, artists should be able to ‘freely form artist groups’, they should ‘promote the diversity of style, medium, and subject matter among artworks’, artworks ‘can be marked for sale’ and exhibitions should be ‘self-funded, with no need for government sponsorship’.28 The questions Jiang raised in this text represented the shared sentiments among artists of the time, and some of the suggestions became a reality afterwards. In particular, Jiang’s statement about ‘freely forming artist groups’ received an immediate and enthusiastic response among young painters. The painters who took part in this exhibition began by establishing the Beijing Oil Painting Research Group. Many artist groups and research groups followed soon after in Beijing. Some thirty such groups have been documented, with membership approaching one thousand people. Twenty five of these groups were in frequent contact with the Beijing branch of the Artists Association. What we are proposing is that our dissent and the object of our opposition might actually come from the same source. In other words, what we might see as disconnected from our reality belongs to the same trajectory as us. What we are reflecting on is the lack of diversity in the narrative perspectives presented within the field of Chinese contemporary art; a situation that is mirrored in the lack of diverse perspectives in the research of this nation’s history. The bias of the world-picture drawn by state ideology is embodied by the magazine Fine Art. Published between 1954 and 1966, the magazine was funded by the newly founded China Artists Association.30 In the first issue, an essay on the ‘new Chinese painting movement’ was published. In the magazine’s early days, while Socialist Realism was deeply embedded in the ideology, Fine Art promoted various forms of mass art, such as New Year prints, panel comics, and propaganda posters. As a result, the magazine played a major role in establishing accepted forms of art in the new China. 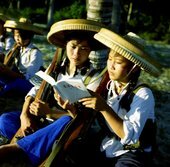 Before the Cultural Revolution, each issue contained: discussions on Socialist Realism, selective introductions to Asian countries with similar ideologies and viewpoints; in-depth essays on art forms found in the Soviet states; and sustained attacks on the capitalist tendencies of European art. To this day, our understanding of the artistic and cultural trends in the world, including Asia, remains indebted to Fine Art, and, as a result, remain very one-sided, even deficient. Criticising the Cultural Revolution has become the moral crux for the legitimacy and creation of art criticism within China. Yet this vilification has remained on the level of image reference and intuitive emotional release; it lacks any rational, critical, or spiritual resources for the analysis and discussion of the profound and lingering effects of the Cultural Revolution. It is often described as a stoppage or a break, and is rarely analysed and discussed as an expressive form and organisational component of China’s modernisation process. Likewise, our impression is generally to treat artistic creation dating from the founding of the party to the Cultural Revolution, and the creations of the Artists Association after 1949, as the total sum of all content produced during this long period. Because of the repeated emphasis on the connection between art and politics, for a long time this subject has been isolated due to certain abstract moral viewpoints. In fact, we have chosen to actively avoid it. It has gotten to the point where we are unable to fully penetrate the trajectory of the modernisation of art in China. We have continuously failed to discover the internal logic and basis for modernisation within China’s own history and traditions, instead attributing the development to our rapprochement with the West. As a result, we have failed to establish ourselves as an active subject that is responsible internally and independently for our own history. We often describe ourselves and our transformation entirely in relation to external influences from the West. Through the repeated emphasis of both the advanced status of the West and our own backwardness, we are unable to squarely face a modernisation process that strays from this linear developmental model. Furthermore, we cannot confront the fact that the isolation, failure, and regression of the Cultural Revolution actually played a role in the modernisation process. We have grown dependent on this allegorical view and experience of history, which is itself reliant on an oversimplified stair-step progression. In fact, China was projected along a track of its own modernity during the decades before and after the Cultural Revolution. This perspective, proposed in this working paper, allows us to view China in a way that transcends the framework of a strictly national modernisation, reactivating the subjectivity in the perception and understanding of a national history of art within an international, global scope – even though this subject is itself full of contradictions and shortcomings. In practice, we have never been able to admit the fact that we have our own subjectivity. Since 1989, Europe has never stopped thinking about the phenomena, challenges, and possibilities brought by globalisation in the field of art. Globalisation is not something that is about to take place, nor is it an external phenomena. It is an accepted reality that has already become a part of people’s work and life. However, this acceptance is not passive. It is something that is constantly rethought, discussed, and criticised. Thinking about globalisation has become a dominant line of thought in discussions of artistic creation and art theory. The summary negation of the past has formed into an overly absolutist expression of history, while obstructing the possibility of viewing ourselves today through the lens of our own past rather than that of others. The rethinking of Chinese Socialism that took place in the 1980s unfolded along a dichotomy between tradition and modernity; yet the critique of Socialism’s problems could not be extended to a rethinking of the reform process and the model it found in Western modernity. On the contrary, criticism of Socialism became a means of self-affirmation in the post-Cold War era. China’s socialist movement was a resistance movement, as well as a modernisation movement. It was carried out through the movement to build the nation and the process of industrialisation. Its historical experiences and lessons are inextricably linked to the process of modernisation itself. We propose to treat Socialist Realism as a dominant thread in our examination of modernity in China. Socialist Realism has always been intertwined with the appeal for modernisation in China’s evolution. Not only was the question of modernisation in China raised by Marxism, but Marxism is itself an ideology of modernisation. Not only was modernisation a fundamental goal of the Chinese socialist movement, it is itself the main trait of Chinese modernity. The concept of modernisation in the Chinese context differs from the theoretical concept of modernisation, particularly because the Chinese concept of modernisation encompasses values that are oriented around socialist ideology. Mao Zedong’s Socialism is, on the one hand, an ideology of modernisation, and on the other, a critique of European and American capitalist modernisation. The politics of names is the politics of memory: our Socialist Realist conceptual tradition took shape within a named reality, and it is within that named reality that it stretches into the present day. By bringing it into the light for examination, we hope that this only marks the first of many discussions that seek to reconstruct the situation, and, in doing so, we aim to restore its complexity. In recent years, the revival of realism has begun to emerge, not in the realm of painting, but within the art world; in the calls, actions, creations, and appeals for art to intervene in society. Some artists have fiercely criticised the intellectual orientation of art. When confronting the harsh political reality and worsening contradictions in society, some artists feel that art should engage more directly in social movements. Some artists chose to re-enact an absurd social reality– particularly the reality of society’s lower rungs - in their work, in the belief that through re-enactment, modelling, and recreation of the unforgiving social organisational methods and aesthetics, they can propose critical suggestions and solutions, and, in doing so, occupy the moral high ground. Yet these acts and artistic standpoints often reject the intellectual side of artistic practice, and thus are unable to achieve substantive participation and intervention. They also crudely exclude other forms of creation, forming yet another narrow definition of art. Through many years of political movements, including the Cultural Revolution, artists and intellectuals have been asked to equate themselves in terms of their class affiliation to behaviour models, and their values with those of workers, peasants, and soldiers. They have been told that their views and sympathies should lie with the people. The social intervention actions that have burst forth in the art world over the past few years – actions that have been described as a form of creation in artist statements and by critics – reveal a certain hero complex in the minds of these artists, which is rooted in a desire to play the role of saviour, to attract attention, and, to be at the centre of the movement for social change. To a great extent, Chinese artists today experience an existential crisis. Though they are all deeply involved in a particular project or creative process, there is a keen sense that their work is somewhat undefined and absent from a dynamic and prescriptive artistic discourse. Due to the unknown origins of contemporary Chinese art, dissatisfaction is common. In fact, it is possible that an absolutely dominant artistic discourse does not exist at all. Yet, looking at the current situation in China, there is a sense of acute presence and vividness in the various regions, artistic communities, and levels of artistic practice. This can be seen in various blog posts and reports on art websites. Within a short period of time, a younger generation of creators have entered into a honeymoon period where their work is afforded a certain degree of scrutiny, support, consumption, discussion and description; a result perhaps of the art system’s enduring appetite for the new. Meanwhile, many artists who have been working since the 1970s, though they were once granted a certain amount of recognition from the art system – they participated in different art movements, had work exhibited in international exhibitions on Chinese art and were lauded by collectors and the market – still face the threat of no longer being described. Artists born in the 1950s and early 1960s generally face long-term anxiety about whether they will be able to appear on the covers of art history texts and in the lists of auction records. The attention fixed on them has not shifted to their work, despite the passage of time. Descriptions of these artists remain focused on the prices fetched by their work in the art market. There is little discussion and understanding that transcends this level. A considerable number of Chinese artists that reached the height of their artistic careers in the mid-1990s – artists such as Fang Lijun, Wang Guangyi, Zhang Xiaogang, and Yue Minjun – are today icons of success based on extreme wealth and record-setting auction prices. But few have received adequate scholarly surveys of their careers. Suffering from a lack of academic interest, in the past decade Fang Lijun has tried to organise touring exhibitions about his career in order to highlight his own position in art history and generate new waves of critical discussion about his work. These attempts, however, have only served to further elevate the price of his works. We could say that in the past three decades of Chinese contemporary art, there is a great deal that has not been recognised. For most of the artists who grew up in the 1970s and 1980s, and reached maturity in the 1990s, the critical world’s silence has left them lost, perplexed, and conflicted. They accumulated considerable capital between the early 1990s and the 2008 financial crisis, and have made it safely into a new wealthy elite in a supposedly classless contemporary China. Interestingly, they operate within this class, using auction donations and other mechanisms to shape themselves into public figures of a sort. At the same time, they cannot escape a sense of loss resulting from the inability to gain the attention of curators and critics. Here, the development of art has lost continuity. One often sees artists such as Zhang Enli, Liu Xiaodong and Zeng Fanzhi – all of whom work with international galleries and have exceptional market performance – circulate more among collectors, dealers, and the nouveau riche than among the intellectual circles of the art world. As the art market began to flourish after 2000, contemporary art’s self-consumption became a possibility, unlike in the 1990s. Most artists and galleries who unconsciously followed supply and demand in their work were able to grasp within a short period of time the right to choose creations, present creations, collect creations, and even set the standards of creation, thanks to the economic order. To date, economic forces continue to be the strongest ruling power in the field of art in China. Certain artists who once gained attention and were placed at the centre of the artistic landscape in the 1990s gradually lost this sense of centrality after 2008. 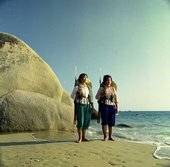 Some of these artists have gone backpacking, setting out for distant places to take photographs and collect material. Zhuang Hui and Li Yongbin, for instance, have in the past several years spent a considerable amount of time travelling by public transport or motorbike through places such as western China, known for its extreme conditions. This attitude invokes the ‘hard labour’ of Mao’s era, when intellectuals were called to go to rural or mountainous areas and learn from the working class. Li Yongbin even moved to a village outside of Beijing, seeking a kind of solitary state of being. There are also artists who have returned to the reality depicted in traditional Chinese landscape painting, travelling to the locations themselves in the hopes of understanding the work of past artists and gaining new creative vision. Another example is the artist Yin Zhaoyang. During the 1990s Yin Zhaoyang was celebrated for his paintings of youth cruelty, yet today he has shifted the focus of his practice to painting from life as well as recreating compositions and aesthetics borrowed from traditional Chinese landscape paintings. Compared to the romantic view of art, the working methods of contemporary artists and the ways they choose to participate in the art system are heavily realist in tone. Thus, the socialist significance of art today stems from the hopes placed in the medium itself for progress and development. Liu Ding is an artist and curator based in Beijing. Carol Yinghua Lu is a curator, art critic and writer who lives and works in Beijing. This working paper was published on 1 February 2017. 1. Definition of ‘Socialist Realism’ according to Baidu Encyclopaedia, a collaborative, web-based, Chinese-language encyclopaedia http://baike.baidu.com/ accessed 20 November 2013. 3. Mao Zedong, ‘Talks at the Yan’an Conference on Literature and Art’, available at https://www.marxists.org/reference/archive/mao/selected-works/volume-3/m..., accessed 20 November 2013. 5. As the pivotal art magazine published by the Chinese government, it was both an embodiment of the ideological direction as authorised by the state then, and a mechanism itself in shaping the ideological framework for artistic practice and discourse for the new China. 6. Wan Shaojun, ‘Youhua Zhongguo Feng – Dong Xiwen Yishu Sixiang yu Chuangzuo Shijian Tixi de Zai Renshi’ (‘Oil Paintings Chinese Style: Reappraising Dong Xiwen’s System of Artistic Ideas and Creative Practices’) in Beijing Academy of Painting, Dong Xiwen Yanjiu Wenji (Collected Research Writings on Dong Xiwen), originally published in Meishu Yanjiu (Fine Art Research), Beijing 1958, vol.2, p.168. 8. 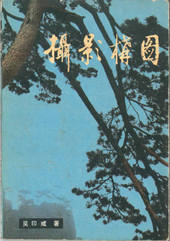 Dong Xiwen, ‘Ziwo Jiancha’ (‘Self-Examination’), in Beijing Academy of Painting, Dong Xiwen Yanjiu Wenji (Collected Research Writings on Dong Xiwen), originally published in Meishu Yanjiu (Fine Art Research), Beijing 1958, vol.2, pp.256–7. 13. Letter from Wu Yinxian to Jiang Qing, July 3, 1969, available at http://www.kongfz.cn/17997466/ accessed September 2016. 14. Yang Kuisong, Unstoppable Concern: Intellectual Life and Politics Before and After 1949, Guangxi 2013, p.xvi. 15. 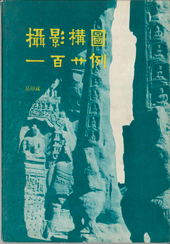 Dong Xiwen, ‘Ziwo Jiancha’ (Self-Examination), in Beijing Academy of Painting, Dong Xiwen Yanjiu Wenji (Collected Research Writings on Dong Xiwen), originally published in Meishu Yanjiu (Fine Art Research), Beijing 1958, vol. 2, pp.256-257. 16. Gao Hua, ‘Xushi Shijiao de Duoyangxing yu Dangdaishi Yanjiu: yi 50 Niandai Lishi Yanjiu Wei Lie’ (Diversity of Narrative Perspective and Contemporary Research: the Case of Historical Research on the 1950s), in Geming Niandai (Revolutionary Times), Guangdong 2010, p.289. 17. A form of realism emerging in the 1970s, practitioners of scar art claimed their depiction of reality was more truthful, and thus more painful, than that which was depicted in Socialist Realist art. 18. In 1986, Gao Minglu published the essay ‘On Rational Painting’ in Meishu (Fine Arts Magazine) where he argued that the paintings that had emerged in the first half of the 1980s exemplified ‘rational’ painting, referring mainly to the analytical and critical tendency of those paintings as opposed to intuitive and emotional expressions. The essay also stated that realism painting was a kind of rational painting that involved a faithful depiction of reality and a humanistic spirit, as well as an aspiration for a ‘real’ realism, a realism of critical reflection, instead of a romanticised one. 19. 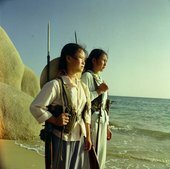 Liu Libin, ‘Nan yi Wangque de 85 Yundong: Duihua Gao Minglu’ (The unforgettable ‘85 Movement’: A dialogue with Gao Minglu), Art World Magazine, (2005), available at http://blog.artintern.net/liulibin accessed September 2016. 20. Zhu Zhu, Yuandian: ‘Xingxing Hua Hui’ (Point of origin: The ‘Stars Art Group’), Vision Art Publisher, Nanjing 2007, p.22. 22. Zhu Zhu, ‘Huang Rui Fangtan’ [Interview with Huang Rui], in Today, no. 4, Winter 2007, p.235. 25. Hans van Dijk, ‘Painting in China after the Cultural Revolution: Style Developments and Theoretical Debates, Part I: 1979–85’, China Information 5.3, Winter 1991-92, p.2. 26. Wang Hui, Zhongguo ‘Xin Ziyou Zhuyi’ de Lishi Genyuan’ (The Historical Roots of Neoliberalism in China), Beijing 2008, p.123. 28. Jiang Feng, ‘Beijing Paintings At the Beginning of the Reform and Open Door Policy’, in eds. Shao Dazhong and Li Song, A History of Beijing Paintings in the Twentieth Century, Beijing 2007, p.352. 29. Song Yonghong, Artist’s Statement as part of a text by Lv Peng, ‘The Spiritual Comfort of Objective Expression: On Song Yonghong’s Art’, in Song Yonghong , Beijing 2006, p.40. 31. Wang Hui, ‘Appendix 1: Answering Questions on Modernity’, in Zhongguo, ‘Xin Ziyou Zhuyi’ de Lishi Genyuan (The Historical Roots of ‘Neoliberalism’ in China), Beijing 2008, pp.482–511. Liu Ding and Carol Yinghua Lu, ‘From the Issue of Art to the Issue of Position: The Echoes of Socialist Realism’, Tate Research Publication, 2018, https://www.tate.org.uk/research/research-centres/tate-research-centre-asia/socialist-realism, accessed 26 April 2019.